I believe this is the first time we’re highlighting a “Current” Featured Project, rather than a built one. Here’s to a 2019 full of new projects! 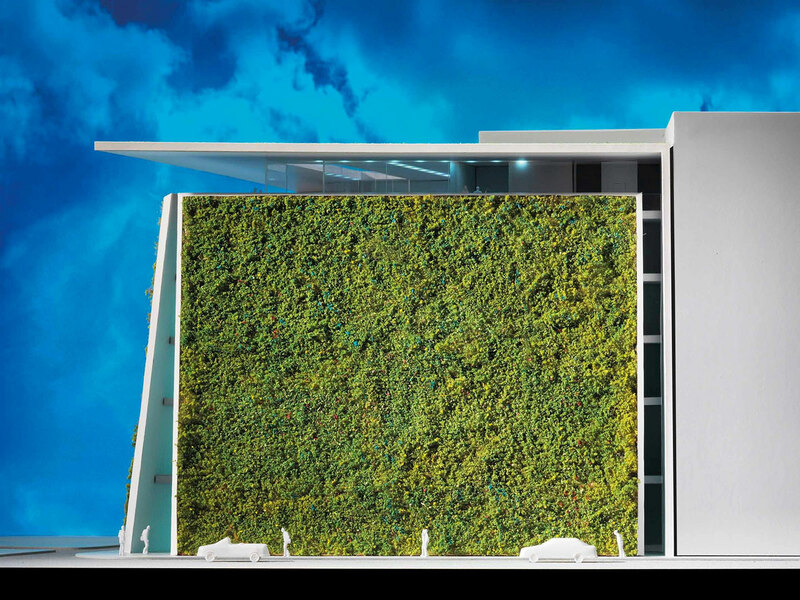 Designed by internationally renowned architect, philanthropist and pioneer of green architecture (and esteemed colleague) Emilio Ambasz, the Museum of the Architectonic and Design Arts promises to be a spectacular one. Not without its controversies, I’m confident the Museum will enhance Madrid’s ‘Golden Walk of Art’ boulevard, the Paseo del Prado, by adding this new, cutting-edge cultural space. We’ll be sure to visit the MAADU in the hopefully not too-distant future! 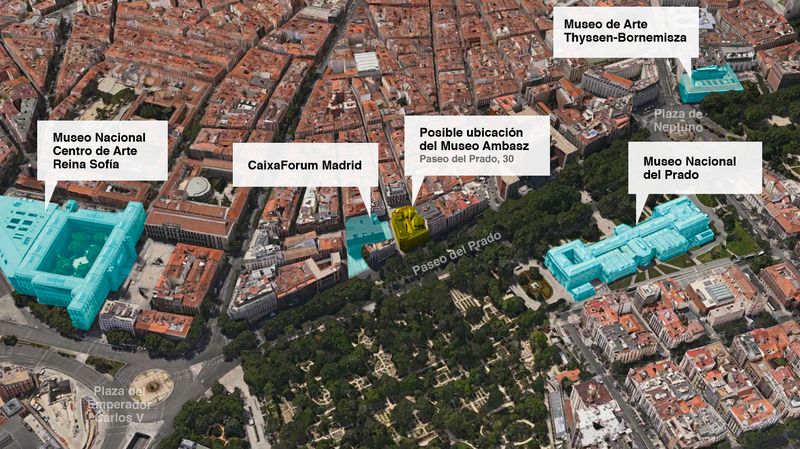 In 2013 architect Emilio Ambasz donated to the city of Madrid the Museum of the Architectonic and Design Arts, Museo de las Artes Arquitectónicas, Diseño y Urbanismo or MAADU, with an investment of 15 million Euros. 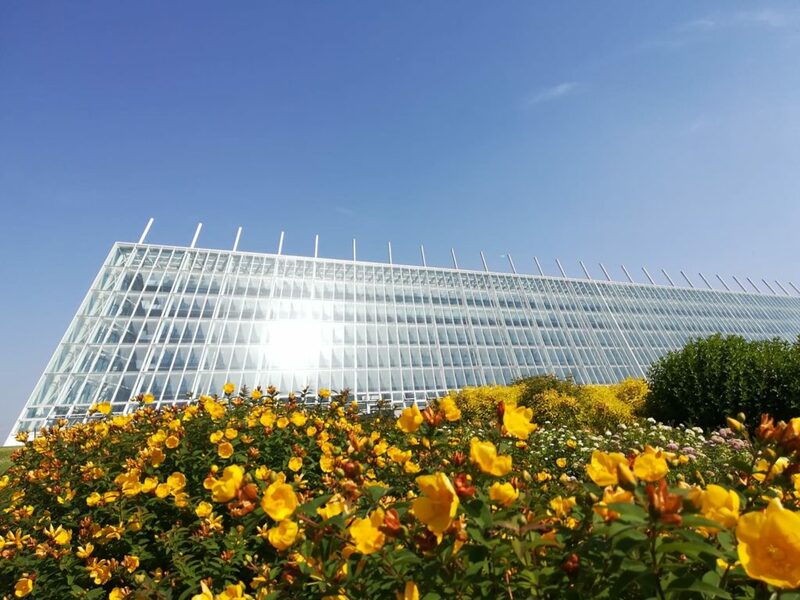 It is to be located in Paseo del Prado, 30, in company with the city’s most notable museums including the Prado Museum, the Thyssen-Bornemisza and the National Center of Contemporary Art Reina Sofia, among others. 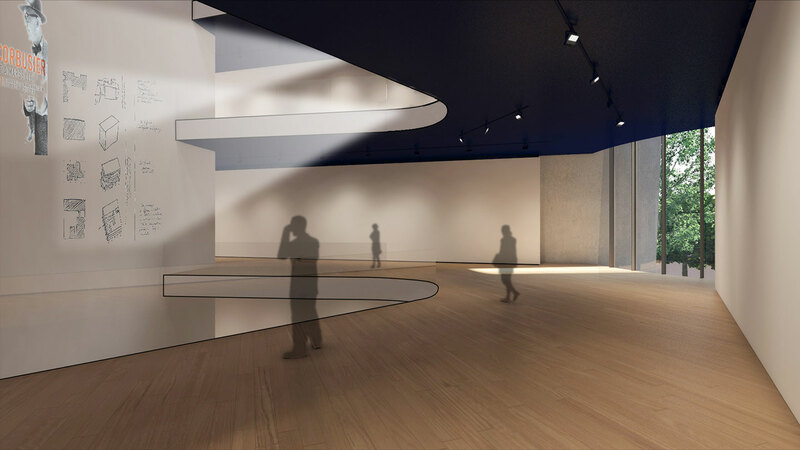 The museum will house temporary exhibitions and conferences dedicated to the world’s most groundbreaking architects and designers who believe in the merging of architecture and nature. The space will be open to the public, sustainable, modern and soulful, a place where new technologies will play a fundamental role. Currently pending permissions, the L-shaped corner site has a total surface of 800 square meters with 3,600 square meters on five floors plus basement. 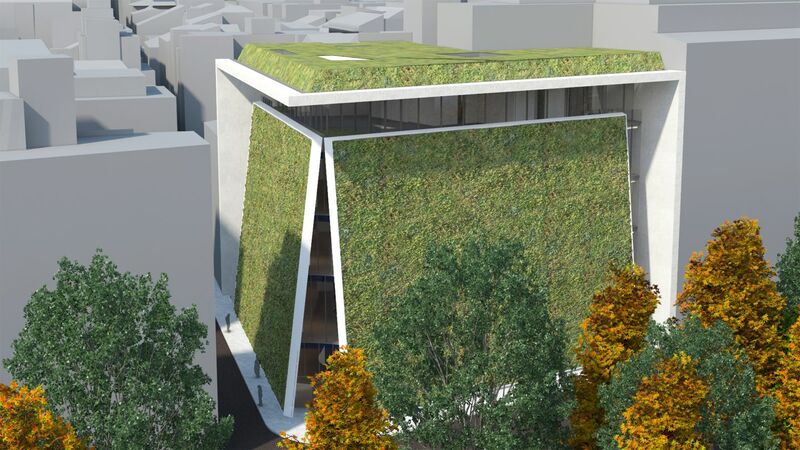 The entrance will be defined by two inclined rectangular planes of reinforced concrete, covered with vegetation, which will be “touched” by their vertices. 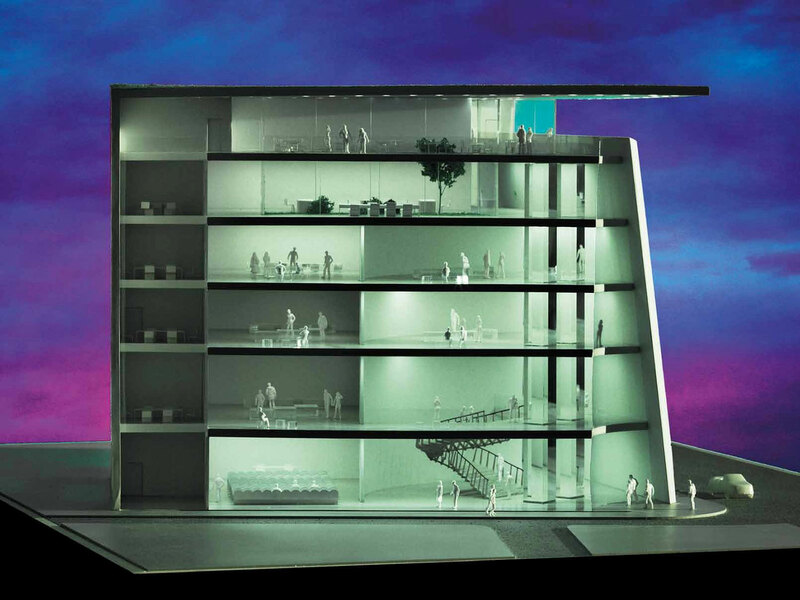 An advanced irrigation system and sophisticated fireproof prevention system will ensure the safety of the building. 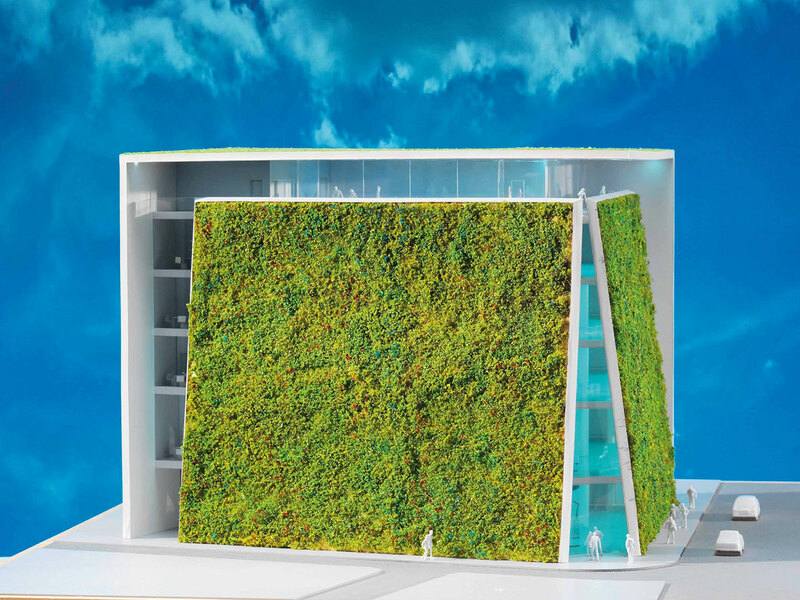 Oriented towards the south, the vegetal layers of modular panels will insulate the building. 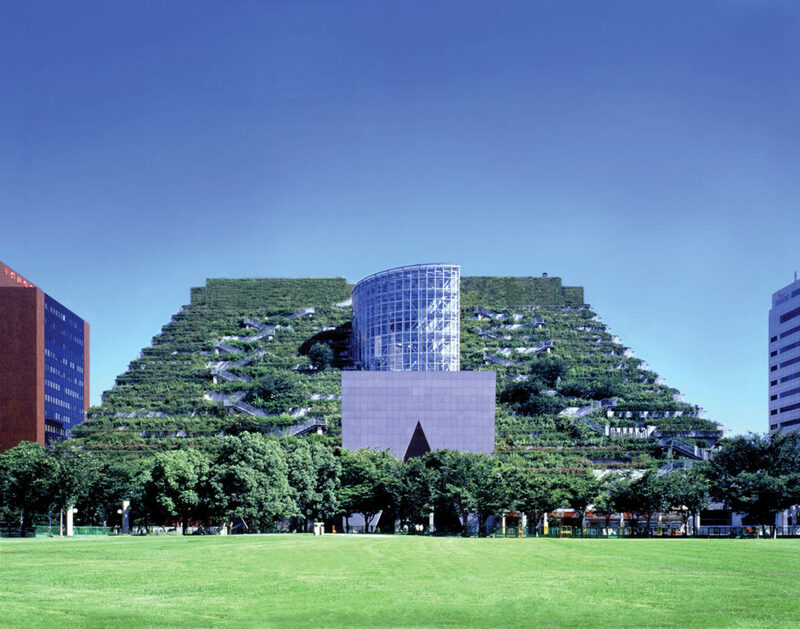 The roof will also be covered with vegetation which, in addition to reducing the thermal load on the building in summer and winter, will also absorb rainwater, thus drastically reducing rainwater discharges in the already overburdened sewer system of the city. 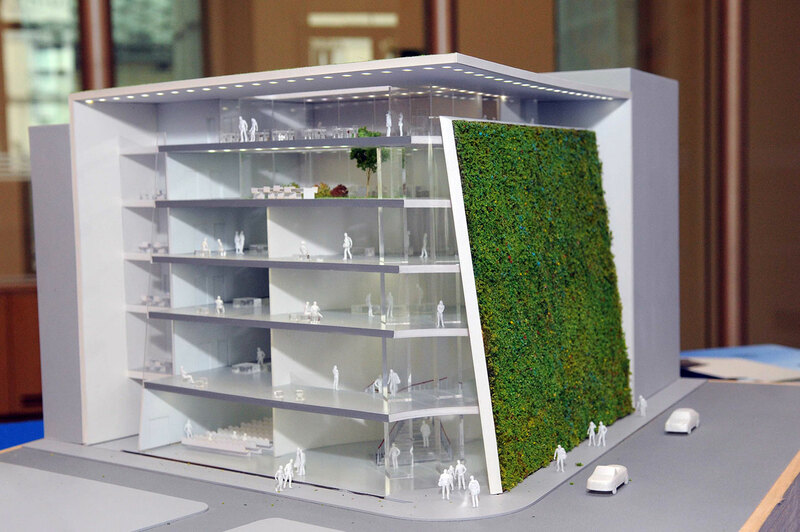 The two facades will present about 1,100 square meters of greenery, and the greenroof will occupy close to 900 square meters. 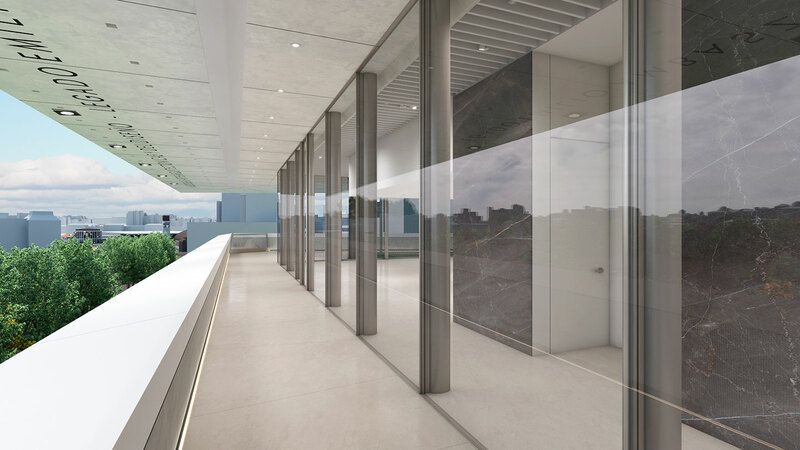 Large windows on each of the facades and on each floor will help guide visitors with respect to the urban context as well as allow them to admire the Botanical Garden and the Prado Museum, located on the other side of the boulevard. 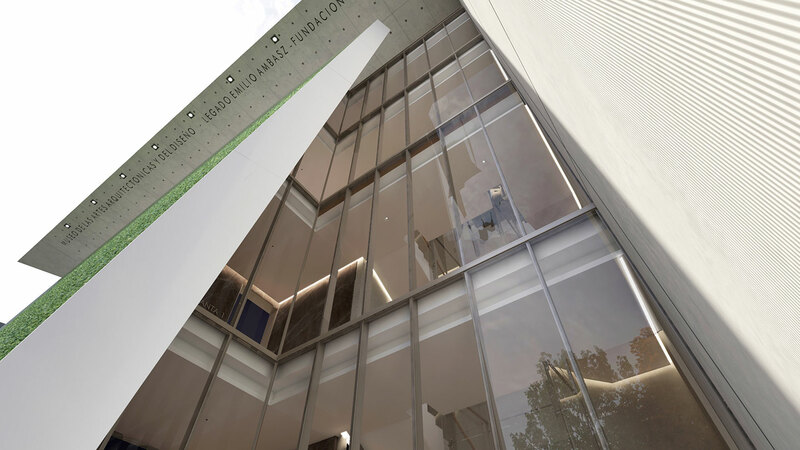 The Museum of the Architectonic and Design Arts seeks to be a cultural hub and world leader, celebrating the works of architecture and design, which are also works of art, and to honor those works and objects that touch the heart, not those that are simply sustainable and pragmatic. View the Museum of the Architectonic and Design Arts (MAADU) project profile to see ALL of the Photos and Additional Information about this particular project in the Greenroofs.com Projects Database. Watch the Museum of the Architectonic and Design Arts (MAADU) Featured Project Video above or see it on our GreenroofsTV channel on YouTube. Did we miss your contribution? 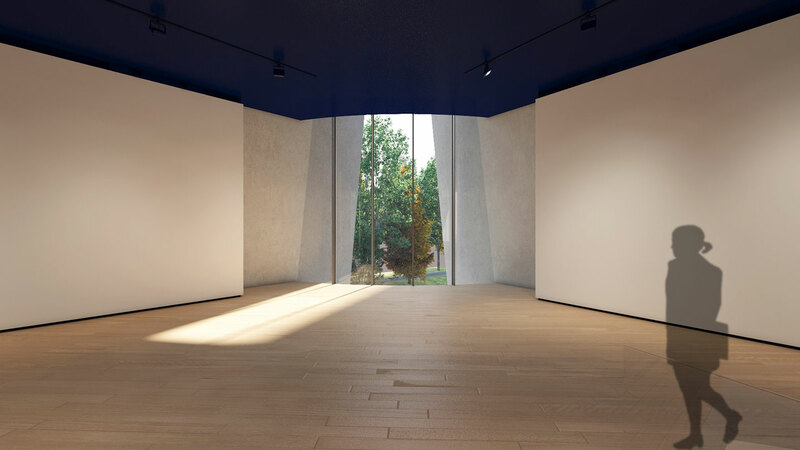 Please let us know to add you to the Museum of the Architectonic and Design Arts (MAADU) profile. 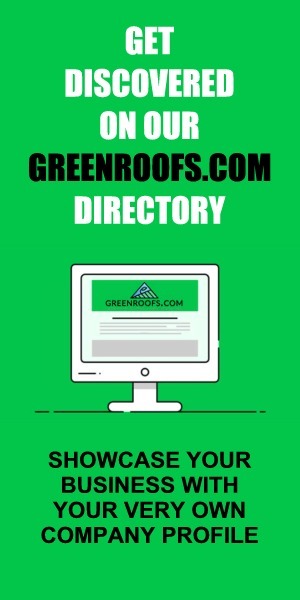 Would you like one of your projects to be featured on Greenroofs.com? We have to have a profile first! Submit Your Project Profile. 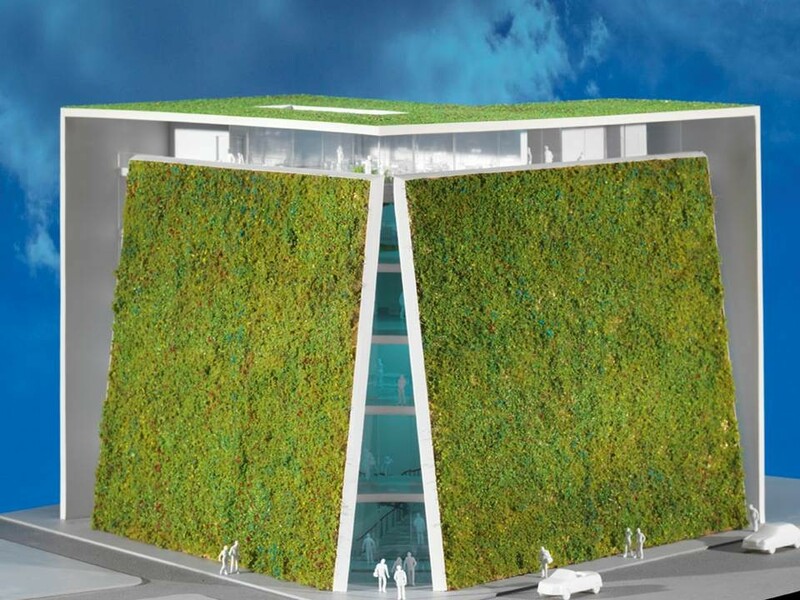 Love the Earth, Plant a Roof or Wall!